An experienced facilitator will assist your team to capture ideas from a user/customer perspective. We believe all ideas are good ideas - even the wild ideas. 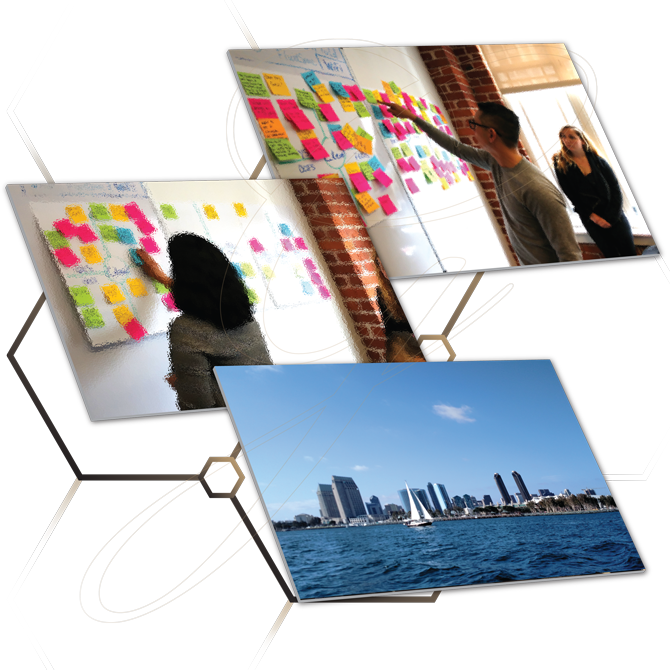 This private, design-thinking workshop can range from product strategy innovation, to creative brainstorming, to user-centered problem solving. Work on new innovative ideas while enjoying beautiful San Diego, California. For the creative and innovative ideas to start flowing, you need to get outside of your office and away from your daily tasks. One Day and Multi-Day workshops are available.